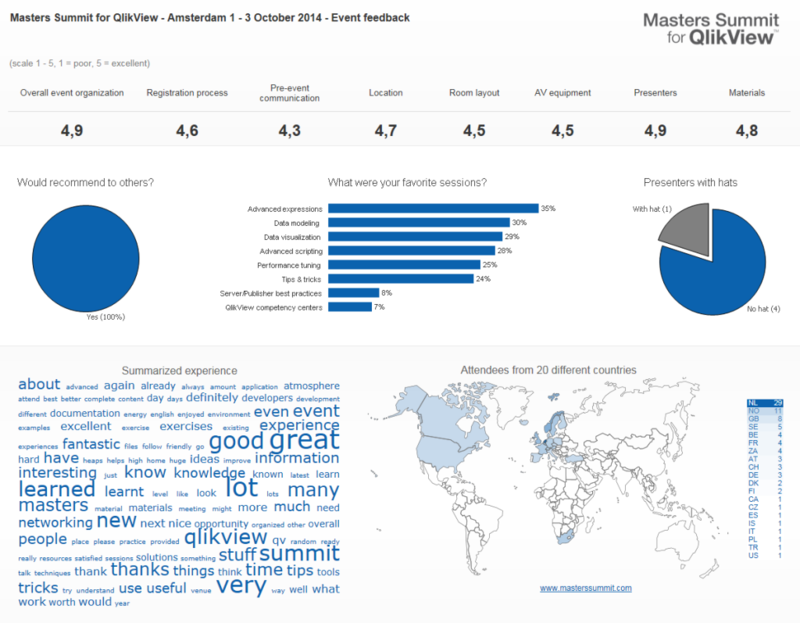 The best way to know for sure if a Masters Summit for Qlik event is for you, is to look at some of our past events, and to hear from attendees what they thought of the Masters Summit for Qlik experience. Our second Masters Summit of 2014 was held in Amsterdam, The Netherlands from October 1 to 3. Again we had a full house with almost 100 attendees, including our awesome sponsors BIPB and Vizubi (makers of NPrinting). We were also delighted to have two special guests, Christof Schwarz of Qlik and Ralf Becher. We once again maintained our 100% recommendation score, and again had a few repeat attendees. Our attendees rated the overall event at 4.9 out of 5 stars. Information avalanche. Leaving filled with ideas for improving my environment and expand QlikView usage. Fantastic! Learnt so much and came away with many solutions and tools. Great resources too! Good networking too! Lot of information, tips and tricks. PERFECT! Great experience. 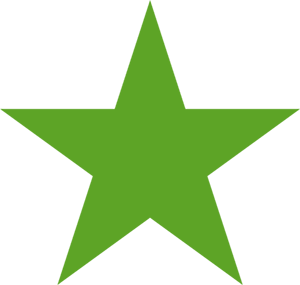 Get to hear about best practices and latest trends from the biggest names of the QlikView world, helps you keep your skills up-to-date and offers you a great bank of tools to use later when you face need for them. When you think you know everything about QlikView, attend the Masters Summit. Within one session you soon realize the vast potential of the application and that you’ve barely tapped 30%. Overall, a brilliant experience! Excellent content and presentation. Learned lots which can be applied immediately. A terrific opportunity to learn new techniques, consolidate what is already known – and a fantastic opportunity to talk to other as to how they are using QlikView. Absolutely loved the whole experience! Excellent summit! Very practical and useful. Trainers are great! I look forward for the next year Summit. Congratulations! Definitely worth the the money in all measurable categories. Amount of knowledge, understandability, networking, openness, materials, real examples provided, ready made libraries, organization. Our kinda town – Chicago! We launched into 2014 with our first Masters Summit in Chicago USA, where its reputation as a “food city” was certainly not tarnished. And fortunately its reputation as a cold and windy city was allayed with at least a few sunny days. This was our largest Summit yet with over 100 attendees and a host of special guests, including our awesome sponsor BI Project Brokers (BIPB). The Masters Summit for Qlikview not only gave me solutions to problems and issues, but also fueled the time for more ideas and opportunities for managing my QV solutions going forward. Fantastic speakers, great people and knowledge sharing. Highly recommended. Great presentations, very energizing and inspiring. Lots of tips and tricks, ideas and experience exchange. Very rich experience, a lot to learn. I feel like I didn’t really know QlikView, now I come to appreciate the power of it. Great event to learn from the experts and to get in contact with advanced/passionate QV users. I had such a great time. Excellent forum to hear about how other people are doing with QlikView, and of course the insights from the presenters. After all these years I still learned a lot. A ton of information was presented. Having the example QVW was very helpful as I will use as references going forward. I feel like I learned a lot and that I have a lot of work to do in our existing QlikView applications. I have so many takeaways from the past 3 days. I am a new developer to QlikView but have had experience with other tools. Although I am not a “master” yet I am confident the materials we covered will be in handy very soon. It was obvious each of the presenters took value in the materials they presented. I appreciate the Q&A sessions and the opportunities to have 1-on-1 guidance from the masters. Awesome job guys. Very well organized & good variety of topics, awesome presenters. I had a great experience and cannot wait to get back to the office to begin implementing & sharing the great ideas and techniques I have learnt. I learned a lot! Presenters were very accessible after the classes. I hope that every year they have different topics, so it’s worth my while to attend again. It is a great learning experience for me. Looking forward to implementing all the things I learned here. Very much excited, thank you. It was great to have years of experience delivered to me in a few days. Thrilled to have as a reference library at my disposal. Tapas, Sangria and QlikView – can life get any better?! After London, the team headed to Barcelona, Spain for part two of our European summits. We were joined by a wonderful group of pan-European/Asian attendees. As well as our great sponsors BI Project Brokers (BIPB) and Vizubi (the makers of NPrinting). One of the best training experiences ever. Nice variety between different topics. Gained a lot of concrete tips as well as bigger ideas and concepts. Really helpful materials. Great! Eye opening. Speakers very engaging and approachable. Well-organized event. This was the second time I attended and I still learned a lot. It is a million worth experience. 3 days of a lot of useful solutions that are ready to be used. Definitely this will be fundamental for my professional growth. Fantastic! Very interesting to compare my practice to others. Working with QV for 2 years but discovered a lot of things. A good mix of experience and academic knowledge. Great experience, lots of new stuff. Great opportunity to pick the brains of the masters and fellow students. Great experience, good presenters. I learned something new in every session. The last 3 days I realized there is so much more to learn. You guys are the real masters. Summit was well worth the time. Rich learning environment, solid use cases and world class experts. I thought I knew it all, now I know there is still a lot to learn.